For program managers, logisticians, financial experts and most others across the Army acquisition community, reform is a luxury—something they can get around to thinking about when, or if, there is a gap in their day jobs. For Dr. Alexis Lasselle Ross, reform is the day job. And it’s an all-consuming one. As the Army’s newly created deputy assistant secretary of the Army (DASA) for strategy and acquisition reform, Ross is at the center of efforts to remake the Army modernization enterprise, as well as discussions about how those changes will actually be implemented by the practitioners who develop and supply weapon systems to Soldiers. After authoring many recent reform proposals while serving as a professional staff member for the House Armed Services Committee (HASC), Ross moved into a Pentagon office this February, working right next door to the Army acquisition leaders who must translate that legislation into real-world institutional improvements. She says it’s exactly where she wants to be. During an interview on April 25, Ross discussed her office’s priorities for change, her work with the task force shaping the new Army Futures Command, and why it’s essential for reformers to “go deep” in diagnosing, treating and perhaps eventually curing what ails the acquisition process. Ross: As you know, two of the secretary of the Army’s top priorities are modernization and reform, which warranted creating a deputy assistant secretary of the Army to spearhead acquisition reform. To place it in ASA(ALT) was the natural place to put it. My role is to operationalize the secretary’s vision, and the way I do that job is by guiding reform initiatives from the early phases—the identification of a problem, the analysis of the issue—through to development of different policy options and alternatives, and then finally through implementation, which includes writing policy, revising regulations and communicating with the field about the change. Heininger: Identifying a problem that’s ripe for reform can come from different sources—it can be something the Army senses isn’t working, or something written in legislation and Congress has told us, “You have to do this better.” Can you elaborate on that? Ross: Yes. The need for change—the idea that there is a need for change—comes from a lot of different sources. Oftentimes senior leadership wants to do something. Sometimes it’s external sources, like the legislative branch, asking the executive branch to perform better. Sometimes it’s our own observations from the field indicating that certain programs aren’t working well. And it’s not always problems—sometimes it’s opportunities. So my focus for this job is threefold. 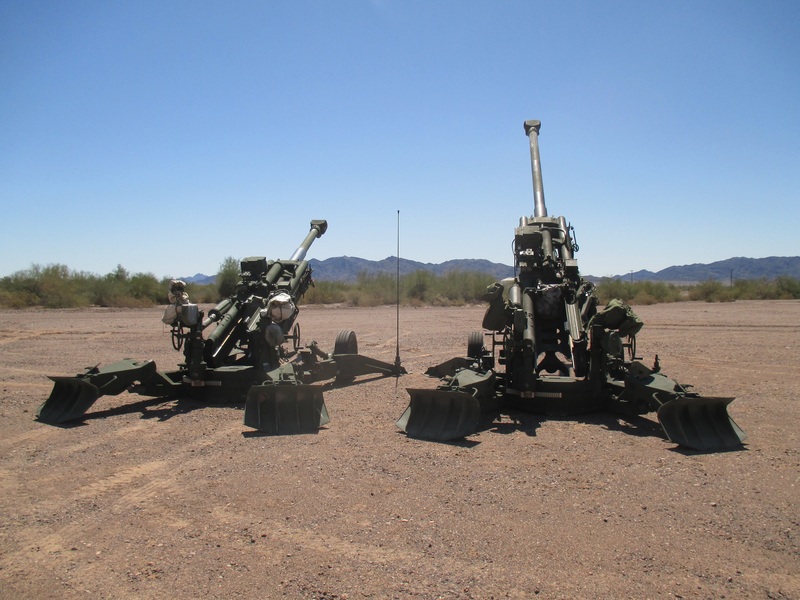 Right now, the Army is undergoing a large restructuring of its enterprise. So, that is one key area. Another focus of mine is that there are many additional improvements that can be made to our system and our processes. The restructuring will go a long way to streamline things, but there are still core acquisition processes and functions that need to be looked at. The third focus is strategies targeted at areas of opportunity and ongoing, vexing challenges. Sometimes it’s not just leadership saying, “Do acquisition better”—sometimes out in the commercial sector there are new ways of doing things that we can pull in. Sgt. 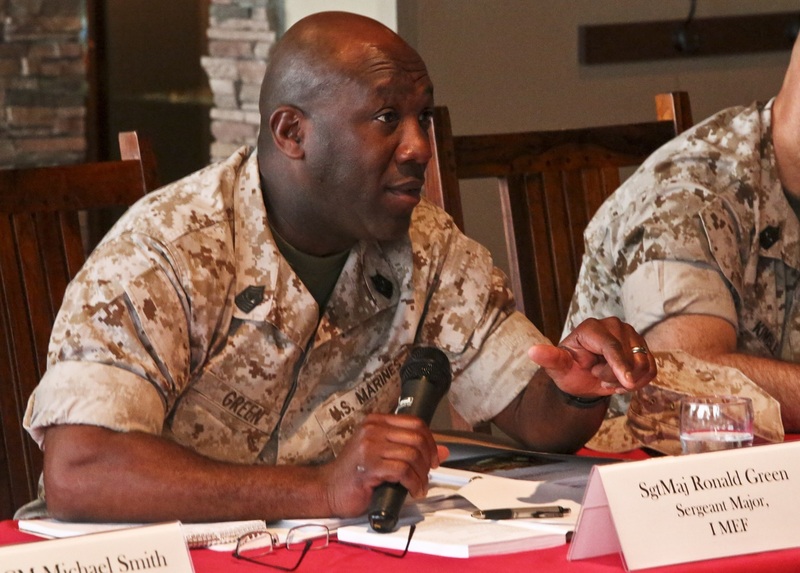 Maj. Ronald Green, sergeant major for I Marine Expeditionary Force, expresses his ideas to representatives of the Department of Defense Military Compensation and Retirement Modernization Commission aboard Camp Pendleton, Calif., March 25. The Commission’s goal is to update programs and resources to fit the changing needs of service members. Heininger: In terms of the restructuring of the enterprise, how much is this office serving as ASA(ALT)’s conduit for the changes that are taking place with the Army Futures Command and the cross-functional teams? Ross: It’s hard to talk about what the end state will look like, because it’s an ongoing process and decisions are underway right now with the “Big Four” [the secretary of the Army, chief of staff of the Army, undersecretary of the Army and vice chief of staff of the Army]. I’m working routinely with the Army Futures Command Task Force, led by Lt. Gen. [Edward C.] Cardon, on developing the model of the new acquisition enterprise, which would entail the Futures Command, TRADOC [the U.S. Army Training and Doctrine Command], ASA(ALT), AMC [the U.S. Army Materiel Command] and others. And it truly is a whole new model. It’s a whole new way of doing business, so a lot of work goes into deciphering exactly what parts of the current puzzle will go where. It’s a team effort—there are a lot of people in ASA(ALT) that help with that and are right alongside me as we discuss things with the task force. Ross: When the Army Futures Command is finalized and [the details about its structure are] communicated, there will still be a lot more work to do. That’s just the first step. There will be a domino effect, where everyone who was touched by that decision will then need to evaluate and perhaps alter their operations, missions, roles and functions. We will also have to look at all the related processes and how a program actually proceeds through the acquisition system, now that there will be a different partner involved. So there will be a lot of work that this office will be doing in putting out policy and revising regulations accordingly—which is also a good time to look carefully at those processes and make sure they are as streamlined and as efficient as possible. That’s what I mean when I say that second focus area is additional process improvements and improvements to the system. Heininger: It’s good that some of that work is happening pre-emptively, now, before the Futures Command officially stands up. Ross: There is no interest in doing things slowly, that’s for sure. To do it iteratively, to set up the structure and then determine better processes, [won’t work]. It really needs to be done simultaneously. Ross: Several years ago, I started getting more attracted to reform work. My doctorate is in public policy, but a lot of the research had to do with how policy change happens, how the legislative and executive branches work together—the conflict and compromise that happens between those two branches in changing policy. I specialized in military pay and benefits, and used that as a case study. But it’s all the same—you’re studying the theory of how policy change happens. That got me interested in really focused reform. I don’t mean just process improvements or policy changes, but actually strong, systematic, fundamental shifts. When I learned that the HASC chairman was standing up a reform team to do just that, it sounded kind of intriguing. They were doing weapons acquisition reform, which was a different application, but it’s the same fundamental work. [While working for the HASC], I got really involved in a lot of issues like intellectual property, the acquisition of services, and sustainment considerations early in the acquisition of a weapon system. By that point, after having worked reform in a couple of different settings and on a variety of issues, you start to see the trends and the themes, and you start to really specialize in that as a function. So I was approached to come here, to work for the secretariat to do this work, and I was intrigued because, one, I wanted to continue with reform. I really do enjoy it and wanted to specialize in it. And two, I had not yet had the chance to work reform from inside an organization, which is very different. You can be in Congress and you can write a law to push reform onto an organization, but reform is really just a good idea until it’s been implemented. Until it’s been implemented, and implemented well, it won’t achieve meaningful, lasting results. So I wanted to be on the other end of it—where you can drive for reform from within, and have an opportunity to see it through. Heininger: I know it’s early in your tenure, but do you feel like you’re getting to do that? Ross: I do, because I feel like this is much more involved. Take a look at just one thing I’m working on, the Futures Command. There’s a lot that goes into redesigning the Army enterprise. 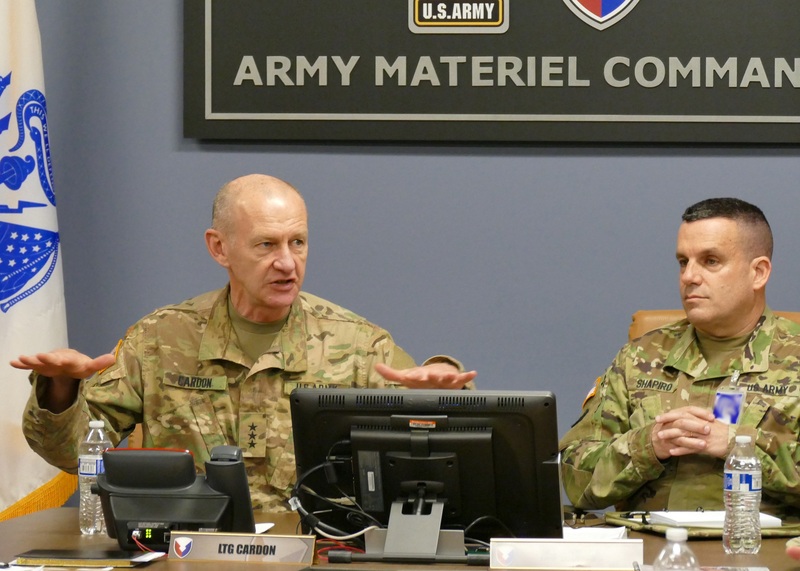 The Army Futures Command Task Force is fully engaged in a variety of implementation aspects, and so being able to participate in that is fulfilling. Ross: What you do first is the Futures Command, because that is of critical importance to the Army. 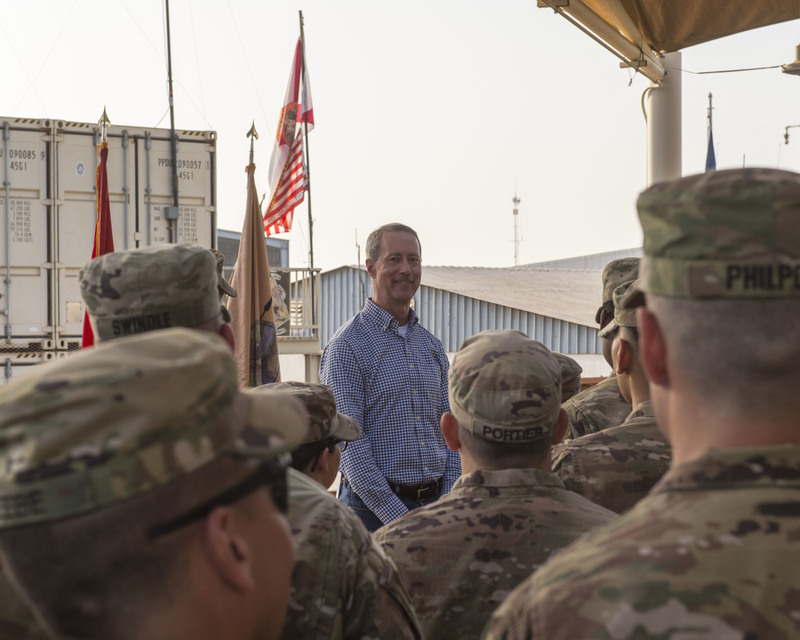 It was already underway before I got here, and it’s a fast-moving train, so it’s critical to put that first, to prioritize that, and to make sure that we have the best acquisition system for the Army. Ross: There are a few things that we are working on simultaneously, including three that are of interest to [Army Acquisition Executive] Dr. [Bruce D.] Jette, that we’ve put a strong effort into right out of the gate. One is developing an Army policy on intellectual property [IP]. There’s a requirement from Congress to develop a department-wide policy, so the Air Force and the Navy and OSD [the Office of the Secretary of Defense] are all coordinating right now on what the policy would be. We want to encourage the program managers to tailor their IP needs and requests based on a variety of factors and considerations—not only the unique characteristics of a weapon system, but also things like what the commercial market bears and what their product-support strategy is for that system. We want them to consider IP much earlier in the process, and we want to promote upfront negotiations, to ensure that both parties are really clear about what they need, what will be delivered, with what markings, when and at what price. And we need to encourage that conversation to happen early. Dr. Jette likes to say that “contracts and lawyers keep friends friends.” So if you negotiate everything in good faith up front, everyone’s on the same page, and there’s going to a be a lot fewer disputes down the road. The other thing we’re working on is teaming up with the DASA for procurement, Mr. [Stuart A.] Hazlett, on services contracting. There are many service contracting initiatives going on at OSD and at the Army level, and there’s going to be some quick wins. In addition to all that, he and I are looking at ways to do deeper, more significant reforms to address some of the underlying issues and factors in the contracting of services. That is a perfect example of the way I like to work and what this office will be doing. There will always be an interest in immediate successes, and lots of times when senior leaders identify a problem they want a solution quickly, but sometimes you have to dedicate some time to really move the needle. You have to look at the system holistically and deeply, and you need to assess what the underlying causal factors are and what you can do to address those factors. Otherwise you’re just treating the symptom of the disease. The third initiative is data-driven decision-making. Dr. Jette is very interested in being able to make smart decisions at the enterprise level, but finds we lack a lot of the data we need to do that. The Department of Defense has a mountain of raw data. But the ability to access it, analyze it and use it for decisions is really limited. Today, if you want some information, if you want to understand something to make a decision, you have to do an old-fashioned data call. So Dr. Jette is very eager to develop some kind of mechanism where he can have access to more data. It’s data transparency, but more than that, it’s actually using the information in a way that enables real decision-making. We’re far behind commercial industry in this. The private sector is able to use big data in a way that’s fascinating. Heininger: That distinction between quick wins and real change seems to be the great value of your office. You have the luxury of time and a dedicated team to look deeply at the system, whereas most acquisition professionals and practitioners have their own goals and missions to meet on a daily basis, so they don’t get around to deep change. Ross: Exactly. Deep change is different than quick wins. They are both worthy, complementary endeavors and can be done simultaneously. Also, sometimes people want savings, and that can be a very good reason to seek change, but it is not the only reason. I would argue that sometimes the quick and easy solution that might save you some money doesn’t address the real problem. So I commend the secretary for creating this position, because at times like these, when a lot of change is needed and we have a resource-constrained environment and a lot of evolving threats, I think it’s critical that you dedicate the resources to having a person with a small staff whose job it is to look at the system and the processes very carefully, to promote real change. 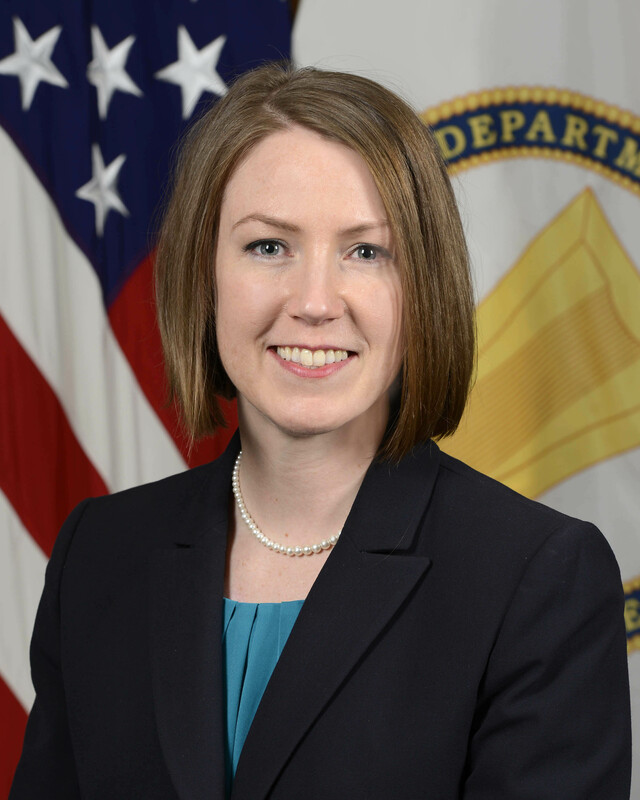 MS. CLAIRE HEININGER is the strategic communications lead for the Army Rapid Capabilities Office and has written extensively about Army acquisition topics. She holds a B.A. in American studies from the University of Notre Dame and is a former politics and government reporter for The Star-Ledger, New Jersey’s largest newspaper. She is a member of the Army Acquisition Corps.